Digital nomads are quite common in today’s professional circles. The popular notion is they are the ones who work sitting on a beach or other exotic location. Well, one fact is surely right that they are dependent on telecommunication and technology. But not all digital nomad jobs allow you to holiday that conveniently. However, on an average, they are professionals who work away from conventional offices. They operate remotely from coffee shops, public libraries or any such place with internet. But in this context, you have to remember a basic difference. Not all digital nomad jobs are location independent. Of course, you can gradually work towards being on. As a digital nomad, your initial payment is never enough to plan out exotic holidays. One thing is for sure though; you can gradually work towards creating a comfort cushion. Digital NomadSo a digital nomad essentially works towards being location independent. Most times you see these professionals in areas which support the low-cost living. In fact, in that context, Bali and Chiang Mai are some of the best-known hubs. The low cost living in these areas help them build a better financial pool. The huge gathering of digital nomads at these places ensures that get relevant information. 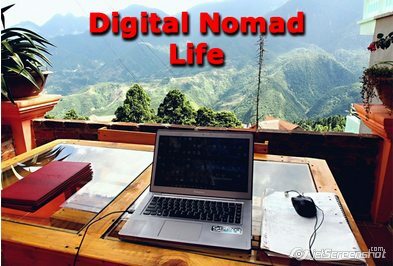 To become a digital nomad, even a basic computers understanding is adequate. You can surely add to it by combining other areas of expertise. But frankly, a PC and an internet connection are enough to start. You can use your existing expertise for a better and a more wholesome work experience. The range of jobs can vary depending on how well you can use your expertise. You can create a niche and get going. You can either work on your own or be associated with a company.